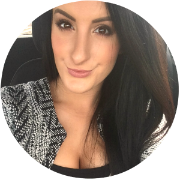 When it comes to makeup, skincare and hair products, I love mixing things up and discovering new products. But, I'm the total opposite with my hair tools. 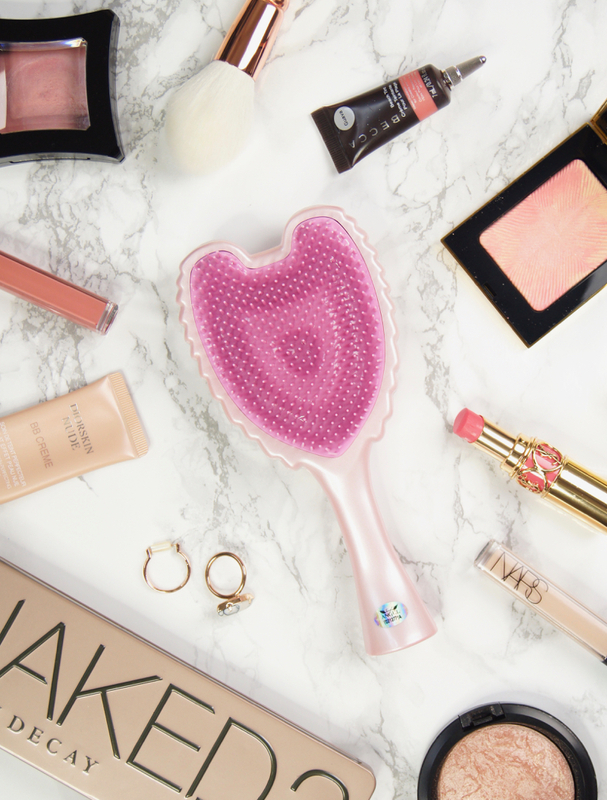 I couldn't be without my precious GHDs and I've been loyal to my Tangle Teezer and Denman Paddle Brush since I first discovered them years ago. So, when I was sent a couple of brushes from Tangle Angel, I certainly wasn't expecting to love them so much that I'd use them non-stop. Move over Tangle Teezer, there's a new miracle worker in town! If you aren't already aware, Tangle Angel is the brush brand created by celebrity hairdresser, Richard Ward. He's responsible for coiffing Kate Middleton's perfect locks, so he's definitely one to trust for producing quality products that work! The Tangle Angel range consists of detangling brushes for both adults and children, styling brushes and even grooming tools for pets! 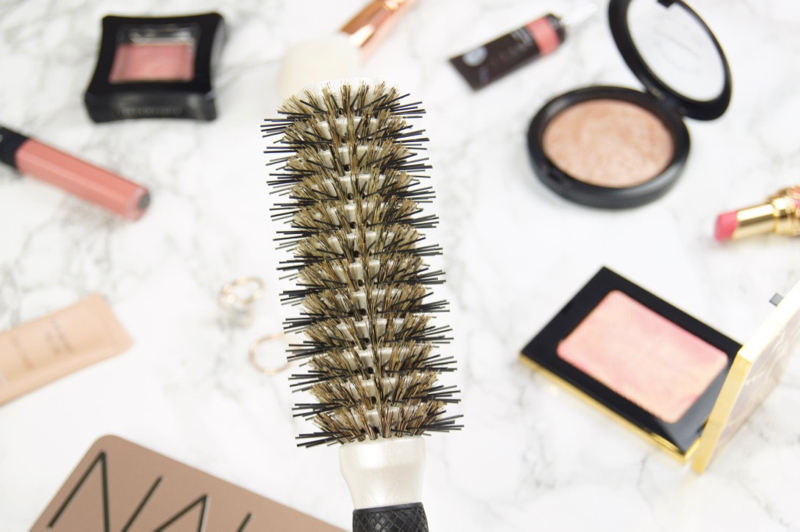 The original Tangle Angel Detangling Brush* is my new favourite. Just like other detangling designs on the market, this brush simply glides through both dry and wet hair with ease - no harsh pulling, dragging or tugging necessary to get rid of knots. But, it offers so much more than its rivals. The plastic bristles are anti-bacterial, which keeps everything nice and hygienic; anti-static, to keep frizz and fly-aways at bay and heat resistant up to 120℃, so the brush can be used to style whilst blow-drying and using straighteners or curlers, too. If you find brushing your hair a chore, like I do, then this brush will make the process a lot more bearable. I don't even need to use a detangling spray before brushing with the Tangle Angel, like I usually do. My favourite thing about it though, is that it has a handle! My biggest gripe with the original Tangle Teezer design, is that I always end up dropping it. I find it so difficult to grip the compact shape and brush it through my hair quickly. 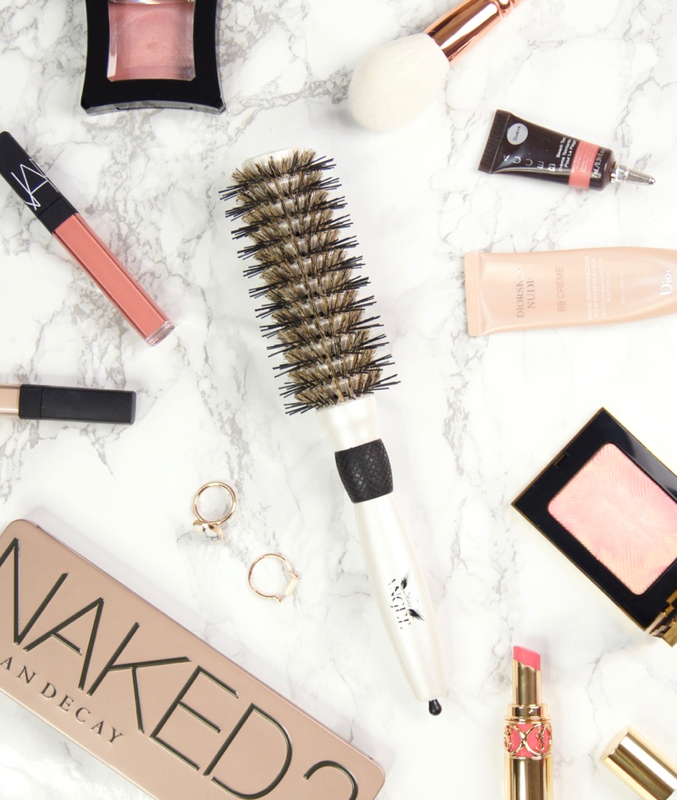 Now, thanks to the Tangle Angel, I get the best of both worlds - my hair is gently detangled and I can use it even when I'm in a rush to get ready. The handle isn't so big that the brush is overly chunky or impractical to travel with, either. Honestly, I'm not really a fan of the whole angelic look of the brush, but I love the pearlescent pink shade. For anyone that loves cute kitsch designs and princess products, then it's sure to be a hit and it would make such a nice gift. Aesthetics aside, it's taken pride of place on my dressing table because of how effective it is. Available in four different barrel sizes to cater for varied hair lengths, the Shine Angel Styling Brush* is the ideal brush to use to create a polished, voluminous finish to the hair. As this brush has a mix of v-shaped natural bristles and ionic nylon bristles, it allows closer contact with the hair, to reduce friction and smooth the cuticle as much as possible. The result? Super shiny, bouncy hair. The combination also makes light work of knots and tangles, too. As the handle features a rubber grip, you have total control of the brush and don't risk it slipping out of your hands in the middle of styling your hair. I haven't quite mastered the art of the hairdresser when blow-drying my locks, just yet. My knack of simultaneously rolling the brush through my roots and effortlessly pulling it through to the ends isn't quite up to scratch, but I have been practicing and perfecting my skills. 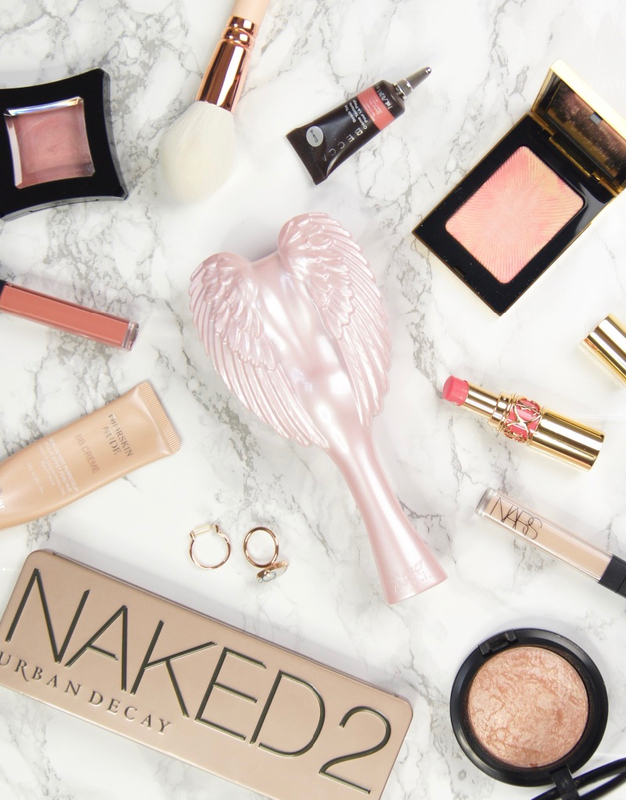 I've definitely noticed that the Shine Angel is easier to use than other barreled brushes and doesn't get stuck in my hair whenever I've attempt to blow-dry with it, so fingers crossed I'll be a dab hand in no time! If not, I'm sure my mum will love it, as she has the skill down to a tee. Have you tried any brushes from the Tangle Angel range? The Tangle Angel looks so cute, I love it! I much prefer a detangling brush with a handle as I sometimes struggle with my Tangle Teezer as I am always dropping it. That's such a stunning tangle angel I have a white one. I currently use the Wet Brush but this looks like a great alternative! This detangling brush sounds really good and cute too. the fact that it has better handle makes it wort having. What an interesting concept! I like that it is a dupe for the Tangle Teezer and the handle makes it easy to use and manoeuvre! I like the larger size which makes brushing my hair a lot easier and faster! 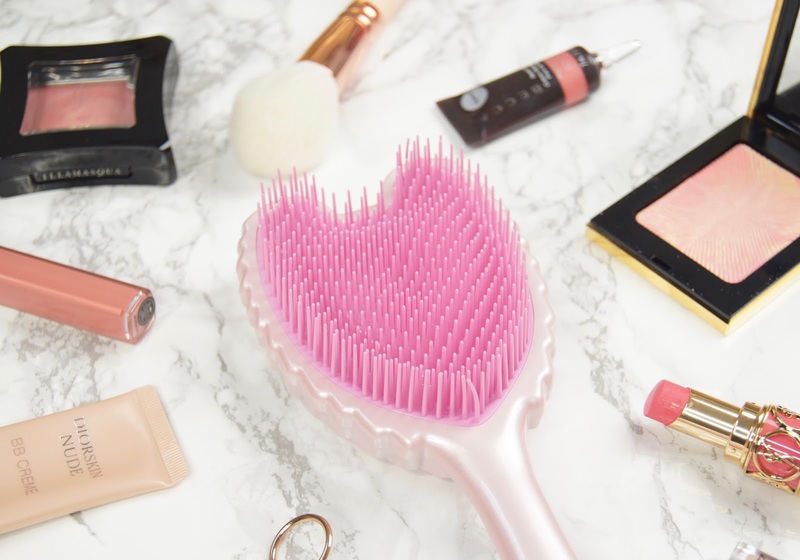 I've always been a Tangle Teezer addict but i might have to give one of these a try!